Ela Bhatt responds to a cacophony of cheers as she arrives for a SEWA board meeting at the union’s headquarters in Ahmedebad. 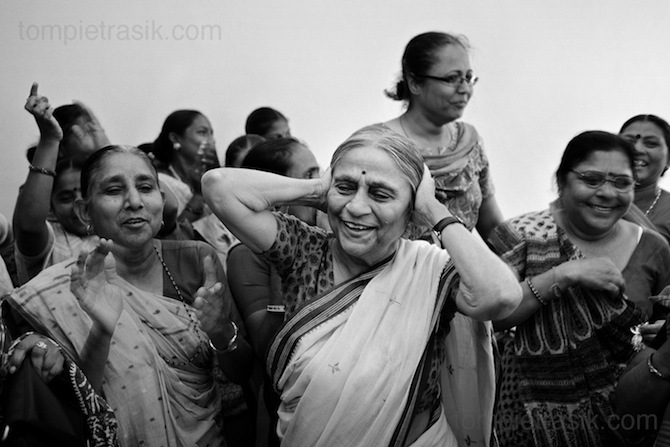 Ela Bhatt (centre) founder of SEWA (Self Employed Women’s Association of India) and a member of The Elders, at a meeting with SEWA members at their headquarters in Ahmedabad. February 24th 2010 Mabel van Oranje, CEO of The Elders on a visit to meet members of SEWA (Self Employed Women’s Association of India) who work in the salt pan industry in the village of Halvad.